This week in Let’s Go to the Movies!, Catherine reviews the film California Typewriter. 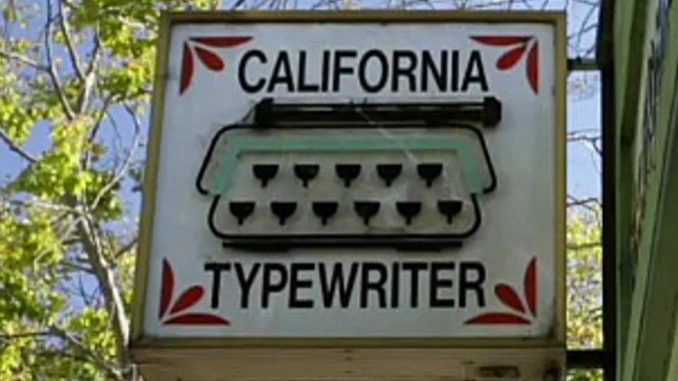 California Typewriter is a 2016 documentary film directed by Doug Nichol, that explores the mythology attached to the typewriter, as various obsessives (including Tom Hanks, John Mayer, David McCullough and Sam Shepard) celebrate the physicality of the typewriter both as object and means of summoning the creative spirit. It also documents the struggles of California Typewriter, one of the last standing repair shops in America dedicated to keeping the aging machines clicking.